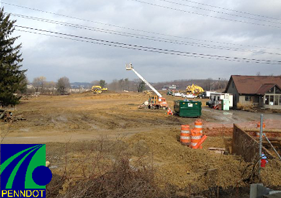 This project was for a widening and realignment and affected 25 properties and resulted in the relocation of 1 resident and a cell tower in the Township of Wheatland, Indiana County. 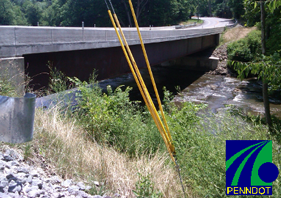 This project was for a bridge replacement and affected 7 properties in the Township of Slippery Rock, Butler County. This project was for the construction of a missing ramp and affected 30 properties and resulted in the relocation of 6 residents in the Township of Jackson, Butler County. This project is for a small bridge replacement and is affecting 10 properties in the Borough of Sykesville, Jefferson County. 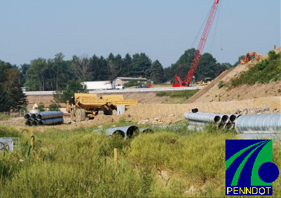 This project is for a new interchange/ramp installation and is affecting 10 properties and resulting in the relocation of 1 business and 6 residents in the Township of Cranberry, Butler County. This project is for a small bridge replacement and is affecting 6 properties in the Township of Bradys Bend, Armstrong County. This project is for a small bridge replacement and is affecting 3 properties in the Township of Brady's Bend, Armstrong County. This project is for a small bridge replacement and affecting 2 properties in the Township of Brady's Bend, Armstrong County. This project is for a small bridge replacement and is affecting 5 properties in the Township of Brady's Bend, Armstrong County. This project was for an emergency landslide mitigation project that affected 15 properties in the Borough of Templeton, Armstrong County. 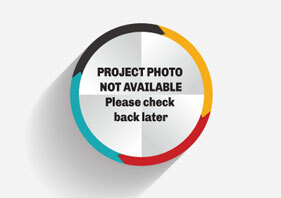 This project is for a bridge and is affecting 9 properties and resulting in the relocation of 1 business and 1 resident in the Borough of Plumville, Indiana County. 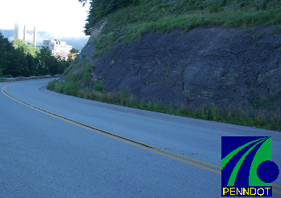 This project is for a bridge replacement and is affecting 6 properties resulting in the relocation of 2 residents in the Township of Brush Valley, Indiana County. 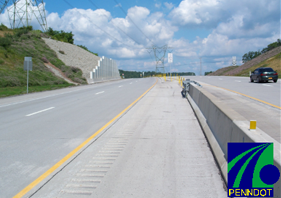 This was an 11 claim realignment and new roadway construction project in Jackson Township. The design is meant to improve traffic flow and improve intersections.